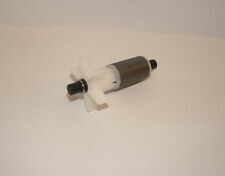 OASE 35755/ 18013 SWIMSKIM 25 & AQUARIUS 2500 REPLACEMENT IMPELLER. GENUINE OASE SPARE. Part Number 35755 / 18013. These bags contain a thick high strength drawstring, allowing you to tighten the bag around a filter pipe. If you have never installed one before we highly suggest you run your filtration through one to see just how much waste they will remove from your pond! Product Code: FG55. 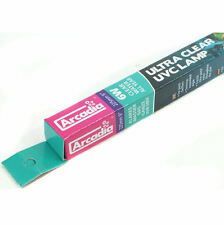 Arcadia 55W UVC Bulb. As water is pumped through the clarifier, the single-celled algae are exposed to high levels of uvc radiation emitted from a UV lamp. This UV exposure destroys the algae cells, which are then broken down by bacterial action in the filter. This set consists of 5 x coarse foam and 4 x fine foam filter pads. 4 x Fine Foam included in this set. 5 x Blue Coarse Foams included in this set. Finest Aquatics LTD?. Original Oase Schaumhalter Blau für Oase Biotec 5.1/10,1. Passend für Oase Biotec 5.1 und Oase Biotec 10.1 Teichfilter. 1x Oase Schaumhalter Blau für Oase Biotec 5.1 / 10.1. Oase Biotec 5.1. Oase Biotec 10.1. ZEOLITE-CARBON- CERAMIC-BIO BALLS-IN POND FILTERS. (APPROXIMATE 9.5” X 31.5”) IS ALSO APPROX 300 MICRON. THIS FILTER SOCK IS MADE FROM QUALITY POLYESTER. 16CM X 20CM - 16CM X 40CM - 25CM X 25CM -30CM X 4OCM-. This kit also includes neoprene o ring seals which should be replaced annually and non toxic and scratch free quartz cleaning cloths to ensure maximum efficiency of the uv unit. Tube is 30cm long. 1 foam for Easyclear 2000/3000. 2 foams for Easyclear 4000/6000. 3 foams for Easyclear 9000. Depending on which pump you have you will need the following. It's huge! As such, we have a huge wealth of experience in online trading. What is Alfagrog?. Why is Alfagrog so effective?. bacteria to colonise and remove waste from the water. High Surface Area for Unequalled Filtration. It's high surface area makes it the natural choice for colonisation by micro organisms in biological filtration systems resulting in cleaner water. Wagner GREEN Aktivkohle ist ein ideales Filtermedium für Süß- und Seewasser Aquarien. Sie absorbiert Giftstoffe, Chlor, Ozon, Schwermetalle, Stoffwechselprodukte, Medikamente und Pestizide. . This set consists of 3 x Coarse Blue foams, and 3 x Fine Red foam. The size of these foams is approx 25cm x 25cm x 8cm. They have a slit through the centre. Finest Aquatics LTD?. Laguna PF2500 PF5000. LAGUNA FILTER FOAM KIT SET FOR PRESSURE FLO FILTERS. These high quality, super absorbent foams are custom designed to fit inside the Laguna Pressure Flo filters. As such, we have a huge wealth of experience in online trading. · Clearer pond water. · Removes solids down to 400 micron (0.4mm) in size. · Micron filter bags are cleanable and reusable. The bags remove solid matter which would otherwise overload the biological process of any multibay filter. 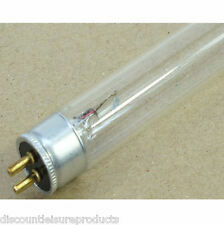 You are buying 2 genuine Arcadia 9w UVC Bulb. UVC Lamp Sizes (excluding pins). 9w - 145mm. 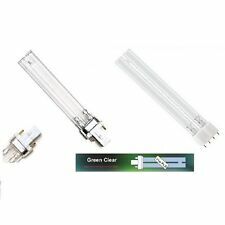 These bulbs are standard size & will fit all PLS style UV units such as TMC, Hozelock, Fish Mate, Oase, Pontec & many others. 3 Way Hose Tap For 0.5" (13mm) Pipe. 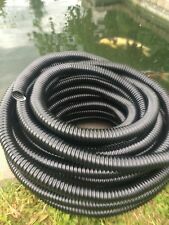 Plastic hose fitting ideal for fish pond pipe work, water feature etc. Oase Ersatz Behälter Filtoclear 15000-30000. Passend für Oase Filtoclear 15.000 16.000 20.000 30.000. Wir sind zertifizierter Oase Premium Händler. 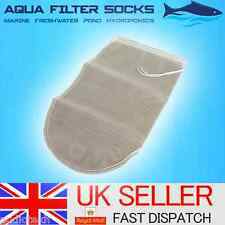 30 Koi Pond Filter media Bags / sacks /mesh bags. The flat size of these bags is 46 cms x 60 cms. I double bag for heavies. The last two photos show a 10k oyster shell double bagged. The palletized shows 10k single bagged. These are sold in singles. Two foams are required to fit the filter. Finest Aquatics LTD?. Helpful Links. Produktinformationen "Ersatzschwammset passend für Oase Biotec 10 (3x grob 10ppi 3x fein 30ppi)". 3x Ersatzschwamm Blau - "Grob - 10ppi", je ca. 25 x 25 x 8cm. 3x Ersatzschwamm Rot - "Fein - 30ppi",je ca. 25 x 25 x 8cm. These are not for the 5.1,10.1 and 30.1 however we list theseThese foams are a compatible foam that will fit the oase biotec filter. Biotec foams 3 X fine & coarse. This deal consists of 3 x red fine sponges and 3 x blue coarse sponges.